Charlotte Mecklenburg Library offers opportunities and services that touch on some of the unique needs of older adults, including navigating health care options, making the most of financial resources, caring for aging relatives and staying active and connected. For many, it’s a time to give back and share their experiences with younger generations through volunteer work, or to explore the potential to reimagine and reshape life. Your Library is here to help you explore all possibilities. Get help with computer and digital devices. These programs cover basic skills like getting around in Windows using a mouse, using an easy word processing program, createing and editing pictures and an navigating the internet. No computer experience is necessary. Find a class. If you’ve got a tablet or e-reader and want to know how to use it and would like to load it up with free e-books, e-audiobooks, magazines, newspapers, vidoes and music from the Library, we can help. Find a class or tutoring session. Join a book club…we’re saving you a seat. 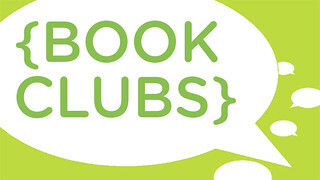 Our adult book clubs welcome all ages, but we also have a club especially for seniors. Check out the Hickory Grove Senior Readers, which meets the third Monday of each month at 1 p.m. New members are always welcome. See upcoming club meetings. 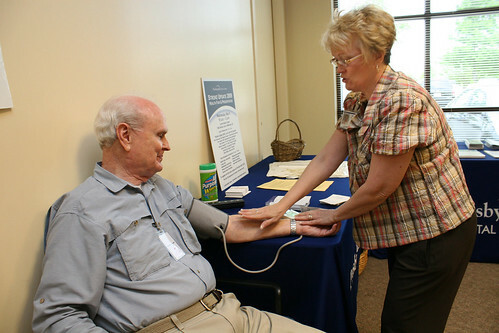 Choosing a Medicare Plan is an important, but often overwhelming, decision. Join us for an overview of Medicare for those who are close to turning 65; considering retirement; have basic questions about Medicare; or want to sort out Medicare’s relationship with their employer’s group health plan. Find a class. You can find a variety of healthy living programs at the Library, including meditation, yoga, nutrition and programs that provide you with tools, resources and information to help you make choices around the lifestyle you want now and as you age. Are you ready to take charge of your health? See our upcoming healthy living programs. Explore and celebrate your past. Trace your ancestors’ unique story and your family tree with the help of the Library. The Robinson-Spangler Carolina Room, a department in the Main Library, contains genealogical resources from all 50 states in print and online – the largest collection of genealogical materials in a North Carolina public library! Visit the Carolina Room to get started, or sign up for one of our genealogy classes. Bi-Folkal Kits provide activity ideas and materials that allow older adults to reminisce and create connections with others. These kits, which can be checked out for three weeks at a time, focus on several themes and can be adapted to inter-generational settings, religious groups, scouts or schools. Learn more. Find the help you need for aging relatives. Founded and based in Charlotte, SocialServe.com provides web- and call-center-based services to connect people to community-based housing. This service link hundreds of thousands of people annually to safe, stable housing, from market-rate rentals to subsidized, accessible, Veterans, senior, assisted and disaster-relief housing. Find a session. Unable to visit your local library to check out a book? Library by Mail is a book delivery service offered to residents of Mecklenburg County. Residents can receive books, audiobooks on CD, music on CD and DVDs through the mail. 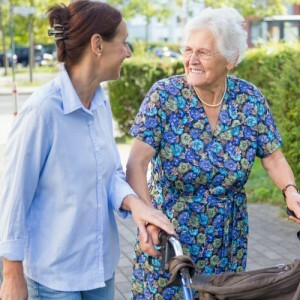 The service is free to homebound customers who cannot get to a library because of health, mobility, advanced age or permanent or temporary incapacity. Learn more about Library by Mail or find more available senior outreach services. No matter where you live in North Carolina, you can call 2-1-1 and a trained agent will help you find available human service resources in your community, 24 hours a day, 7 days a week. Call 2-1-1 or click here to learn more. By volunteering your time to be a child’s reading buddy, you will be a positive and supportive face that a child will associate with positive reading experiences. You will also help build a literate and educated community. It’s a big job but a rewarding opportunity – why don’t you join us? You can find this volunteer opportunity, and many others, on our Volunteer page. If you don’t see a service or program offering you need, contact us and let us know! Or tell us next time you visit one of our branches.